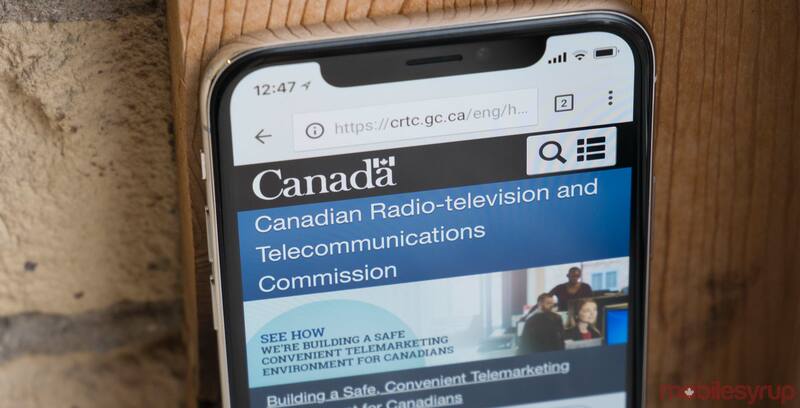 A coalition of four Canadian consumer advocacy organizations delivered testimony on the second day of the Canadian Radio-television and Telecommunications Commission’s (CRTC) unsavoury telecom sales practices hearings. Representatives from the Fair Communications Sales Coalition (FCSC) — comprised of the Public Interest Advocacy Centre (PIAC), the Association of Community Organizations for Reform Now Canada (ACORN Canada), the National Pensioners Federation (NPF) and the Canadian Association of Retired Persons (CARP) — used their time to further advocate for the implementation of a new telecom sales code of conduct, while also arguing in favour of implementing suitability rules within Canada’s telecommunications industry. Within the finance industry, banks, investments firms and other financial service providers are legally required to determine customer ‘suitability’ for certain products. If a customer is deemed unsuitable for a certain product or service, firm’s have a professional and legal responsibility to withhold those products and services from a customer. Determining suitability not only protects firms from engaging in unnecessary risk — withholding loans to clients who have a history of defaulting on their obligations, for example — it’s also a way to protect clients from needlessly risking their own financial standing. In contrast, however, the telecommunications industry has no such legally mandated suitability rule, sometimes resulting in customers purchasing products or services that they don’t want or don’t need. John Lawford — the PIAC’s executive director and general counsel — argued that telecom service providers should gauge a customer’s suitability before offering product or service options. Lawford suggested that telecom service providers should pose questions about home ownership, the number of people sharing a single dwelling, customer intentions for their internet, wireless or television services and even whether or not customers can define a gigabyte. “We think suitability on those factors is actually quite decently possible to ask the companies to look into,” explained Lawford. In addition to the implementation of suitability metrics, representatives from the FCSC’s member organizations also argued in favour of implementing a broad telecommunications similar to the one that exists in Australia. “I don’t think I’m giving anything away here by saying that our long-term strategy at PIAC would be a telecommunications code like the have in Australia,” said Lawford. While Canada has a number of codes of conduct aimed at regulating the country’s various telecom sectors — including the Wireless Code, the Deposit and Disconnection Code and the Television Service Provider Code — Australia’s Telecommunications Consumer Protections Code is a single comprehensive document that governs country’s entire telecom sectors. “Certainly, it would be more simple to have one code,” said Lawford. In addition to mandating telecom services, the Australian code also provides guidance on telecom representative training. Lawford noted that telecom service providers in Canada often fail to provide adequate or uniform training for all sales representatives. “Although all of the companies that are major here say they do train, sometimes though they say they train the trainers,” said Lawford. As per Australia’s code, however, all sales personnel are required to receive adequate training by the appropriate company, rather than receiving generic training from third-party sources. Still, despite the FCSC’s recommendations, representatives acknowledged that the goal of the CRTC’s current hearing is to produce a report about sales practices — not every problem endemic to the Canadian telecom industry. “We’re in a sales practice proceeding, you have to write a report about sales practices,” said Lawford. The CRTC will use the testimony delivered at today’s hearings — as well as all other testimony — to produce a report for government by February 28th, 2019. The CRTC’s unsavoury telecom sales practices hearings continue throughout the rest of the week. Carriers begin delivering testimony on October 24th, 2018.